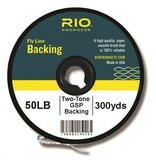 Two-tone GSP Backing: RIO's premium quality Gel Spun Backing metered every 50 yds with a color change from Red to Yellow. 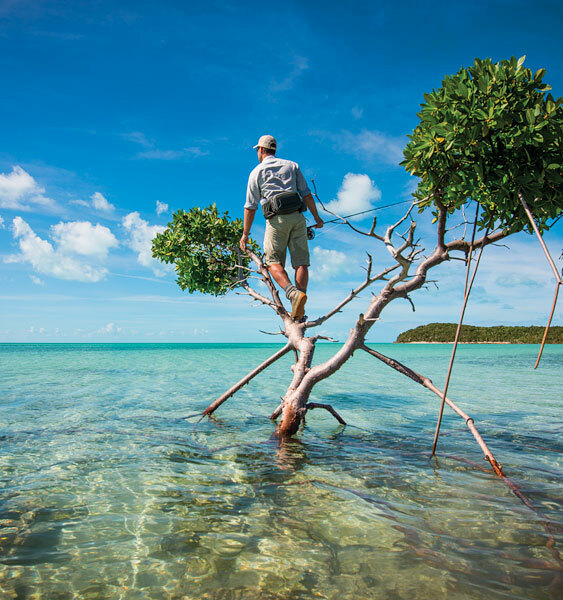 The color change gives the angler a visual reference to determine how far a long running saltwater species has gone and how much line there is to be retrieved. This universal backing is appropriate for any rod/reel size and equally suited for all species; from trout to tarpon. 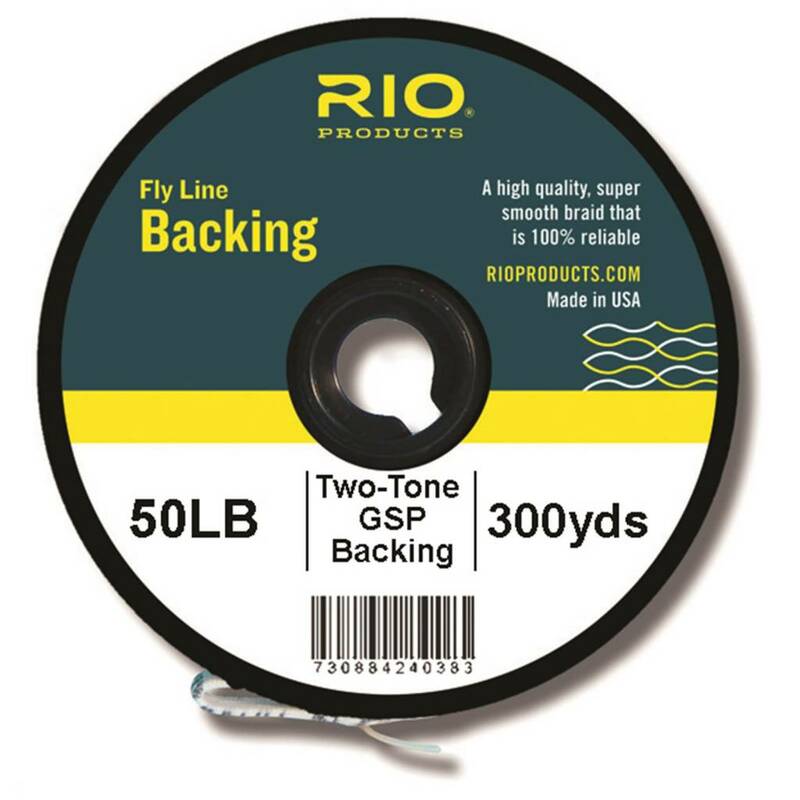 It is roughly the same diameter as traditional 20 lb Dacron backing and reel capacity can be determined as such. Available in perfect fill amounts for every angling situation.